WORCESTER – The cost and scope of the project to repair Union Station’s exterior stucco has grown because of work needed to correct construction flaws made when the building was renovated nearly two decades ago. For one, asbestos was discovered under the building’s stucco that was not properly abated during the previous renovation. The Worcester Redevelopment Authority board last week approved a $1.5 million change order to its contract with Kronenberger & Sons Restoration Inc. for the exterior stucco project so asbestos can be abated and other necessary repairs made to the building’s exterior. Because Union Station is primarily a transportation center, 80 percent of the cost of repairs will be paid for by the Federal Transit Administration. John Odell, the city’s director of energy and assets, said before stucco repair work began a decision was made to test for asbestos. He said initial tests came back negative. But subsequent testing revealed an issue with a thin charcoal film under the stucco that separates some of its masonry layers. Mr. Odell said that material was discovered to contain asbestos and must be abated. Because the asbestos is several layers behind the exterior stucco, it is considered harmless to passers-by. The potential concern is for workers who are repairing the stucco, he said. “The effort to do the reconstruction (of Union Station) in the late 1990s was substantial,” Mr. Odell told the WRA board last Friday. “That effort was done at a date when it was assumed that the protocols for abatement and for testing were just as effectively stringent as they are now. Candidly, there was an assumption on the city’s part that that restoration effort would have handled the abatement almost by default. “We did, however, decide that as a safety measure, before Kronenberger started actually doing work, to do a few testing samples,” he said. Mr. Odell said the asbestos was found to be simply covered over. “Perhaps their idea back then was that this would be encapsulated and made safe that way,” he said. “Unfortunately, the second issue, which is just as substantial, is that there has been water damage to the terra cotta. Terra cotta is a wonderful material, until there’s a problem, and then it’s a really challenging material to deal with. Terra cotta is very porous, so once water gets in it kind of stays in and its very difficult to manage that. WRA board member Michael Angelini asked whether the city can recoup money it will have to spend now to correct mistakes made in the past. Mr. Odell said it is difficult to determine whether it was a design problem, a construction problem or a combination of both. “It’s challenging at this point to identify where the miss was,” he said. “I don’t think there’s really any argument that there was a miss done at that time. As a result, we are spending more than anticipated to correct those mistakes. 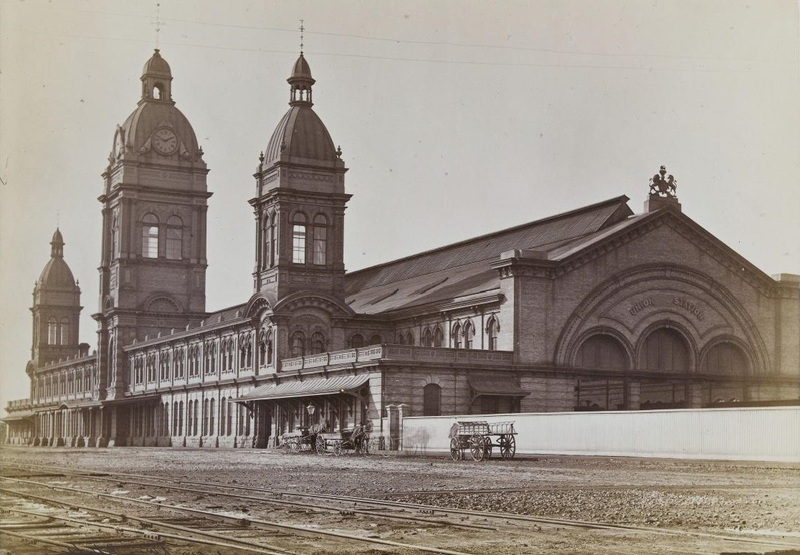 Union Station, owned and operated by the WRA, opened in 1911. Passenger rail service to the station ended by 1974 and it fell into significant disrepair after it was abandoned. In the late 1990s, the city embarked on a $32-million project to renovate the historic Washington Square landmark. It reopened in July 2000. The cost of the exterior stucco project was originally pegged at about $590,000.